In the summer of 2007, I started a little side hustle called Music Therapy Connections. That side hustle grew into an actual business that took up all the hours I wasn’t working at my full-time job, and it eventually replaced my full-time job. In time, it grew into a partnership with another music therapist and didn’t stop there. 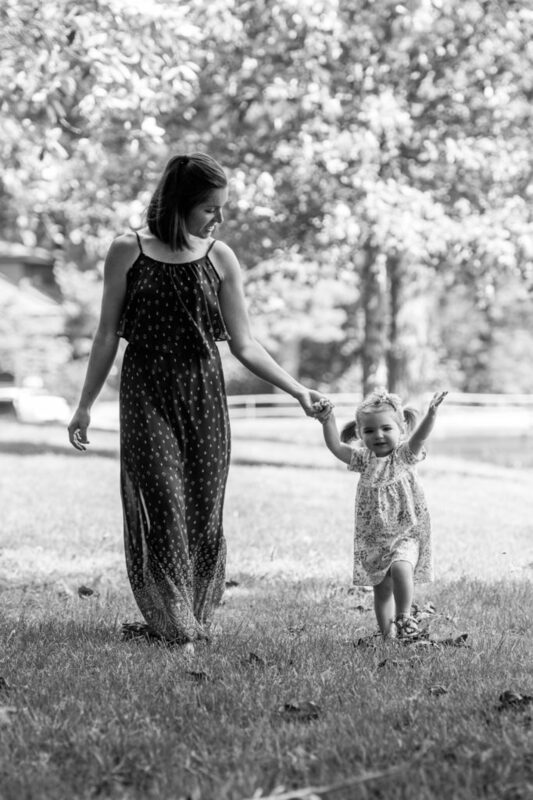 10 years in, Music Therapy Connections is a full-fledged brick and mortar business with a team of 10 that serves hundreds of families within our walls and hundreds of people in the community each week. What a wild ride it’s been. And through it all, I’ve not only run the business, but also provided music therapy, led early childhood music classes, and taught piano, voice and guitar lessons. I’ve taken two summer maternity leaves and extended summer breaks to be with my kids, but always returned to my students in the fall. Two years ago right around this time, I was holding a brand new baby girl in my arms and wondering how I got so lucky. Her entrance into the world wasn’t quite as smooth as her brother’s, but all those hours of labor made the moment that much sweeter. Mia Belle was not what I would call an easy baby; she didn’t sleep through the night for her first 18 months of life, and she clung to me for dear life at all hours of the day. She cried just about every afternoon as I left for work. But in between the clinging and crying, she was unbelievably sweet. And funny. This girl learned how to go from coy to total ham in about 6 seconds, and she charmed everyone in her path with her huge blue eyes. And she still does, this little 2-year-old of mine. Complete strangers stop to comment on how cute she is and how beautiful her eyes all are the time, but really, the best part about her is her personality. She’s always had so much of it, and now that she is talking nonstop, we are getting to experience the full extent. I’ve never written, recorded, and facilitated as many early childhood songs in my entire life as I have over the past 10 months. Last August we kicked off a new season of Listen & Learn for Little Ones, music classes for children ages 0-3, at my teaching studio and private practice, Music Therapy Connections. 8 class sessions later, we are winding down and getting ready to take a much-needed break before we do it all over again. I’ve been looking back at our song collections from this year’s classes as I start to plan for next year, and I thought it would be fun to share some of the biggest hits of the 2016-2017 season. 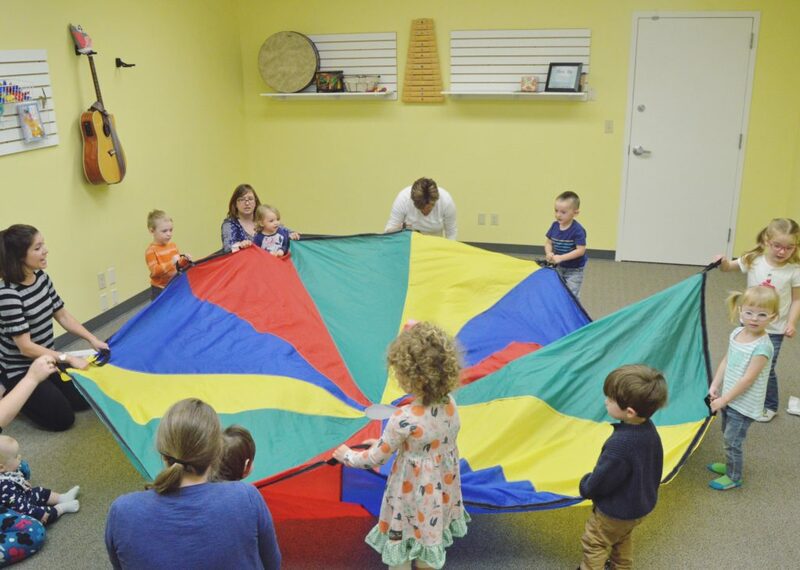 Many of the songs we include in our early childhood curriculum are designed to fall into multiple categories, from instrument play, to cognitive skills, to movement, etc. We only have 45 minutes out of the entire week to work with our kiddos, so we want to make sure to cover as much ground as possible without overwhelming them with dozens of tunes. I chose one song from each of our 8 sessions, which I think are a nice representation of the range of concepts we address in class. To listen to each song and read more about it, just click the link or cover art. I don’t always adapt existing songs, but sometimes when I do, they’re based on iconic tunes from the 1950s and 1960s, rewritten specifically as movement songs. Funny story: I have a long list of songs I’ve written but haven’t shared here on the blog and in my store yet. Yesterday I decided to do a little catching up, and chose two songs at random to share. It wasn’t until after I added them to the store that I realized both were based on songs by male artists from the 50s and 60s. I took this coincidence as an opportunity to remind you that inspiration for new songs and adaptations can come from any style, genre or generation. A few years back, I was really into adapting current pop songs, and still like to do so from time to time. But I have found that borrowing ideas and melodies from other decades can be a lot of fun, especially since many parents and grandparents attend music therapy sessions and music classes. It’s up to you as a songwriter to decide just how closely you want your version to resemble the song that inspired it. You can put a modern spin on an old classic, or keep it true to the original. Here are my adapted versions of the songs by the prolific artists pictured above.